Spellbound is about connecting you to the magic inside you and activating this transformative power. Learn how and why spells work; the history of spells; magical symbols to use in your spells; how to dress magically; and the rules of spellcasting. Discover the healing power and pure joy of magical ritual in a lovely tome with the look and feel of an old-world spell book, complete with ribbon marker. Watch your life become the magical experience it was always meant to be. 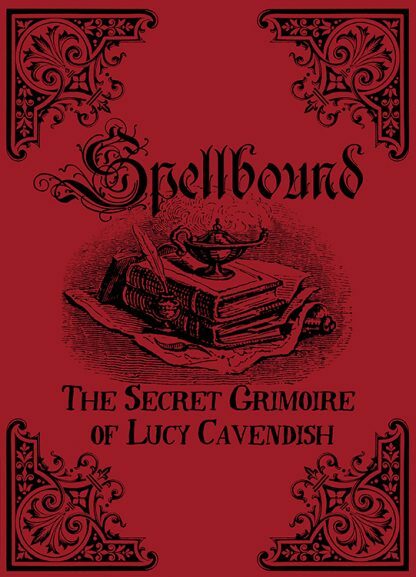 Lucy Cavendish is a natural-born witch who created Witchcraft magazine, one of the first magazines of its kind in the world, and is a feature writer for Spellcraft. She appears regularly on television and radio, explaining the craft. She is also a founding member of the Goddess Association. Lucy is the author of several previous books, including Magical Spell Cards, Oracle of Shadows and Light, Oracle Tarot Cards, and Spellbound, and the coauthor of Oracle of the Shapeshifters.